In my work as an ergonomist, I conduct routine preventive and post-injury ergonomic evaluations. For years, I’ve asked each employee, “Do you know what ergonomics is?” and “When was the last time you attended ergonomics training?” The answers are almost always “not sure” and “never”! Yet, it’s been over 22 years since California put into place its ergonomics regulation (Cal-OSHA 5110). It requires employers who have had more than one repetitive motion injury in the last 12 months to train employees in ergonomics. Even if the employer hasn’t had any repetitive motion injuries, training gives employees the skills to self-correct their work area for common ergonomics concerns when provided with adjustable equipment. Employees become empowered to be proactive about their health and wellness, making them more comfortable, happy, and productive at work. One of the easiest and most cost-effective ways to engage employees in ergonomics training and ensure the outcomes positively impact the bottom line is by offering online learning opportunities. At least 77% of US companies offer online learning in their professional development programs (Roland Berger,2014). While an upfront investment is necessary, the ROI can be 50-60% greater than traditional training, which, if done properly, can itself have a 4x return on investment (Boggs, 2015). Web-based training is a powerful instrument for developing a global labor force in a consistent way. Web-based training can be used to provide needed instruction without taking workers away from their daily responsibilities. Online learning overcomes the obstacles imposed by a transient workforce; and the flex-place, work anywhere worker. The use of contingent workers such as temporary, consultants, part-timers and others have increased dramatically over the last decade. E-learning solutions and web-based learning management systems are invaluable tools to train and manage this unique labor force. Web-based training programs that offer certifications, college and graduate school education along with important job enhancing skills are powerful incentives to retain valued workers who are goal oriented and driven to learn more. Training of all kinds, including e-Learning programs, increase employee knowledge and skill level, so they become better at their jobs, which makes them more productive and efficient contributing to bottom line profits. The ability to access courses and content from anywhere at any time from any place around the globe gives tremendous flexibility to learning. There are reduced travel and related costs as a result of employees not having to travel for traditional onsite training and courses. e-Learning drastically reduces per-student costs as the setup investment is relatively low, and many courses can be viewed over and over or asynchronously. Web-based training is “just in time” learning, allowing employees to take it just before they need it, rather than enrolling weeks or months before they need the training or refresher class. There are many other benefits to online learning such as training delivery advantages allowing the training to be delivered uniformly in a consistent framework. It can also be updated quickly and easily to reduce lag time and printing costs. Content can be customized to meet the training objectives of a specific program quickly and efficiently. And one of the best advantages is that students can learn at a pace that works for their individual learning preference and life circumstances. 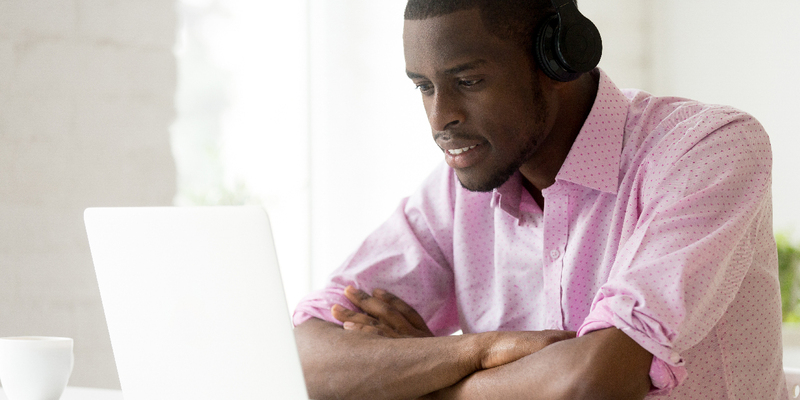 Online learning is a great way to ensure greater participation, engagement, and adoption. Is Training the Right Solution? Should Ergonomics Training Be Mandatory of Voluntary? Training is an investment in your employees, your most critical asset and provides an opportunity to truly enhance performance, knowledge, and skills. Choosing to make it voluntary or mandatory is important in experiencing the desired outcome. Employers most often choose to offer ergonomics training on a voluntary basis rather than making it mandatory. When training is voluntary, it diminishes the importance and makes it optional. By doing so, the message is clear, “you don’t really need this; we are offering this because we think we should”. How can you hold your employees accountable to safe work practices and good ergonomics if the training you offer them is voluntary and optional? Those who attend training reap its value but it is often looked at as for employees only rather than supervisor/manager training as well. The result is lost credibility in delivering the importance of the message. After the voluntary ergonomics training, employees often go back to their supervisor or manager to discuss what they heard or saw and present ideas for how to prevent ergonomic injuries. But if neither the manager or supervisor attended the training, they may eschew or disregard the employee’s concerns and fail to follow through with a response to their needs. There goes your credibility with your employees and the whole reason you provided ergonomics training! If training is to be voluntary, then employers need to recognize there is little they can do to hold people accountable to the expected behaviors of good ergonomics. Ergonomics itself is not intuitive nor common sense. In order to be common sense, it must be commonly taught and commonly practiced! Not just delivered so you can check a box on a compliance checklist! The scenario above can be avoided by first determining what business problem you want the ergonomics training to resolve, then identifying who is part of that business problem and make it mandatory for all impacted to attend. It may not be just your employees you need to train: include your supervisors, IT team, Facilities team, and Purchasing, as all have a vital role in your ergonomics program. Whether live or online, ergonomics must be an organizational priority for the training to be successful and for employees to achieve the expected learning outcomes. For best results, ergonomics is something everyone needs to know and understand. Once training is delivered, leadership should engage with employees to assure learning has occurred, which can simply be done by encouraging discussion and practice of training methods and recommendations presented. And it’s a great time to follow up with a brief ergonomic review or ergonomic coaching session. Only then will you achieve the true benefits of training for your employees and your organization. Whether voluntary or mandatory, ergonomics training is an essential component of your ergonomics program. When was the last time you held ergonomics training for your teams?